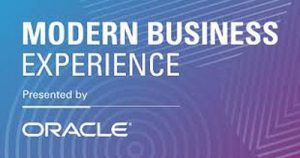 This week, the Supply Chain Matters blog in the presence of independent supply chain management and B2B industry analyst and Editor Bob Ferrari, attended the Oracle Modern Business Experience (MBX) conference. This final update provides readers our summary impressions of the conference and on Oracle’s current unfolding business and technology strategies. For the past several years, Oracle has sponsored an annual conference dedicated to supply chain management which was the Modern Supply Chain Management Experience (MSCE) which we have consistently attended in prior years. This year, rather than conducting separate events related to different business and functional audiences, Oracle made the decision to create a broader applications community conference that reflects more of a sense of integrated systems needs across business areas. We now highlight our summary impressions of this conference with some reference to our prior updates. Our Part One commentary highlighted a specific supply chain management related product announcement made in conjunction with MBX. The Part Three commentary updated readers on new customer adoption milestones and developments for various application offerings within Oracle SCM Cloud. Part Four provided Editor Bob Ferrari’s highlights of participation in the Supply Chain Executive Summit that occurred simultaneous with this conference. As indicated in our Part Two highlights, this particular conference was an experiment for Oracle in bringing together ERP, SCM and CX focused teams into a singular vs. prior dedicated conferences for each audience. The conference was viewed as the opportunity to bring cross-functional or cross-business teams to a singular event to be able to assess Cloud-based adoption needs, and what that implies. This week, there was indeed a lot of emphasis placed on having customers speak to their business challenges and why they elected to make their move to the Cloud. From the view of this Editor, the goal for building-up the confidence in the customer’s ability to migrate from on-premise to the Cloud was manifested across many of the SCM sessions. It was very clear from many of the SCM focused customer sessions we viewed that business partnership, support, and interrelationships are indeed part of the selection criteria for business and/or SCM digital transformation. Oracle receives high marks from this Editor for this refocus, and for designing a conference where customers and prospects could communicate and exchange notions of what a business partnership implies. It represents verbal recognition that companies need assurances about turning over mission critical business support processes to an outside partner requires such a partnership. How refreshing, since this is an area that the entire IT industry needs to focus on. Kudos to Oracle’s conference organizing teams and to executive sponsor SVP Steve Miranda for pulling this all together and on the achievement of the objectives. Oracle has been on a ten-year journey to consistently architect and offer applications for the broad advantages that Cloud-based computing can provide, in its broadest sense. That includes pre-engineered hardware and software components that span business support applications, database and advanced analytics, hosted IT infrastructure and autonomous based computing and information security. Competitors and some analysts initially scoffed that such a strategy was pure marketing. Not so today, when businesses views other technology market offerings and begin to assess all of the desired criteria related to innovation, one-stop IT and annualized overall costs. In the above light, Oracle is now clearly refocusing its customer messaging, appropriately so. Oracle is acknowledging a reality that as a Cloud based technology provider, the emphasis changes from that of being primarily product, to that of being a technology services-based company. The primary responsibility is that of a business partner, in addition to providing what teams believe are superior technology options. Business partner implies providing the best options for innovation, continuous customer responsiveness to customer services needs and providing of overall information security safeguards with reduced overall IT infrastructure and support costs. This is a refreshing change, not only for Oracle, but the broader Cloud software technology community. To be candid, this change is timely and important since across major ERP provider platforms, many traditional licensed customers are becoming more acutely aware of the need to digitally transform, but desire to avoid mistakes of the past for being held hostage to a technology providers innovation timetable as opposed to their individual needs in innovation and annual IT costs. There remains an inherit concern that innovation cycles must not disrupt existing business needs, and at the same time, must be introduced in shorter, continuous cycles. Oracle is increasingly understanding and manifesting these tenets in the notions of dedicated customer success managers and a more focused global partner ecosystem. With each passing conference of this type, it becomes ever more apparent to this SCM technology analyst that Oracle’s SCM teams remain in a laser focus. Over the past five years, readers will note from our previous commentaries that Oracle SCM development has not waivered from its stated strategies. The question was always timing, and readiness as opposed to objective. Make no mistake, the Oracle SCM Cloud suite is becoming a strong alternative in many industry support and broader supply chain management process support areas. The latest adoption numbers, now pegged at over 2500 customers, add further evidence that the suite is starting to capture added interest fom both added new, and existing Oracle E-Business Suite (EBS) customers now evaluating their upgrade paths. Oracle Cloud ERP customers are also beginning their migration paths to Cloud SCM after initial adoption of backbone financial and procurement process support. We fully expect adoption numbers to increase further in the coming months. Over the coming quarters, there will be added support for industry verticals, broader enhancements for various existing applications and a renewed emphasis on enhancing the user experience in more interactive ways. Let’s be clear, like any other technology provider, there are some flaws and gaps, but we can state that for many providers. What Oracle does provide as SCM differentiators are product development strategies that bring together software, analytics and Cloud based infrastructure targeted to industry and customer segment needs with more simplified pricing and selection options. Yes, I iterated the word simplified in the context of Oracle. Customer feedback has made its mark. This concludes our highlights of the 2019 Oracle Modern Business Experience Conference. Readers and clients can contact us at any time with any additional questions.